This mural stands at 14ft and took three days to complete. It was painted for the promenade festival in Sheerness, which this year has a viking theme. 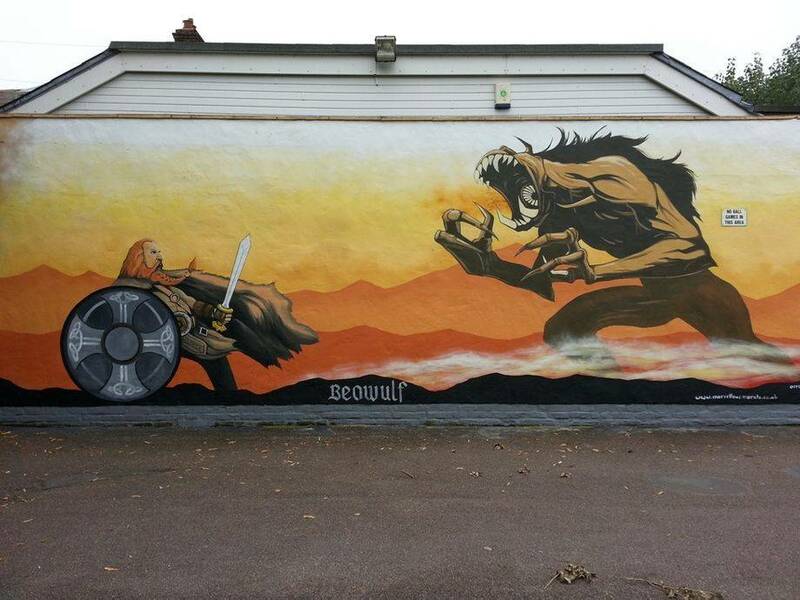 It depicts the legend of Beowulf fighting Grendal, which legend has it was supposed to have taken place on the island.